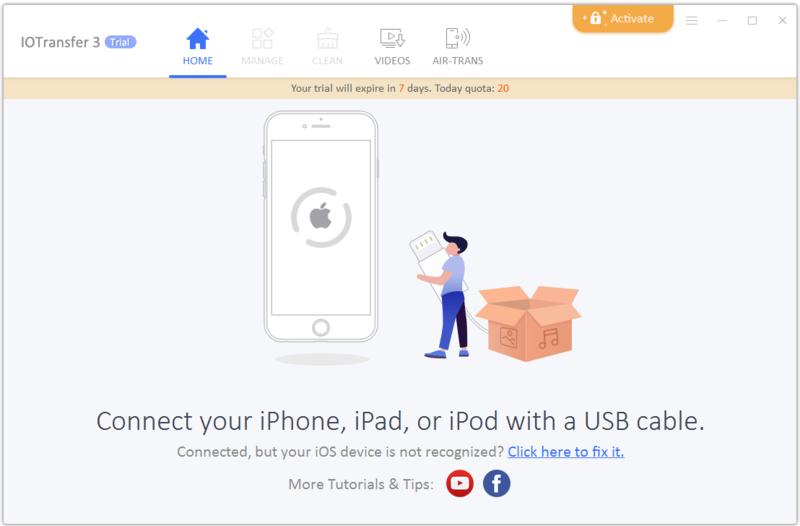 If you have any of the major Apple products like iPhone, iPad and iPod, you would need to transfer and manage files across devices. No other software solution in the world has led than IOTransfer for many years. IOTransfer is a category-king in the sector and it continues to innovate to get better. This month it launched the IOTransfer 3 which is industry leading with many new features. I downloaded this new version in my iPhone and found it extremely great. IOTransfer is a simple but effective iPhone/iPad file transfer and management tool which helps iPhone, iPad and iPod users to manage their iOS content on computers. 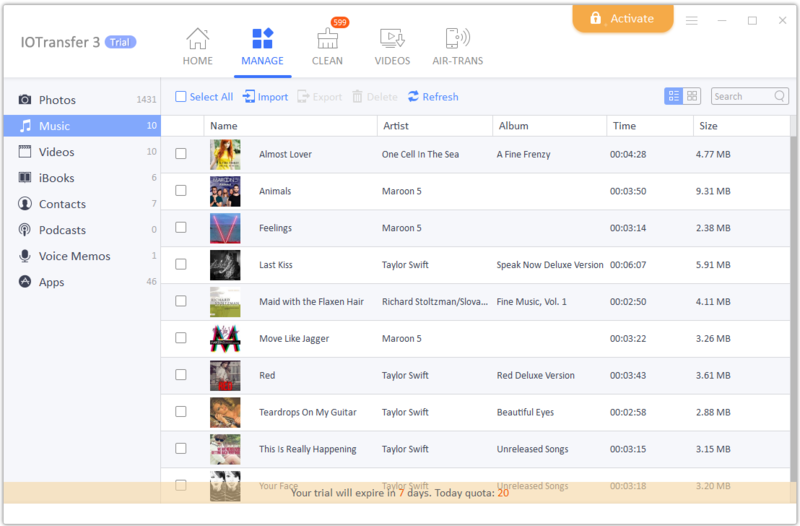 It provides users with a simple and convenient way to freely import and export music, videos, photos, podcasts, books, and voice memos between iOS devices and PCs. 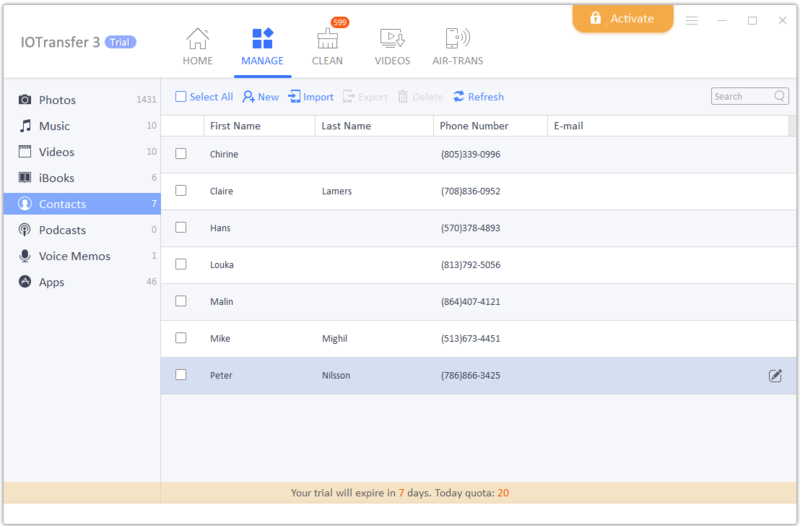 This is a major update, aiming to provide all iPhone, iPad and iPod users with the best solution to fully and freely manage their Apple devices. The main feature in this new version is the new Air-Trans feature which adds wireless file transfer across Apple devices and PCs in a second. 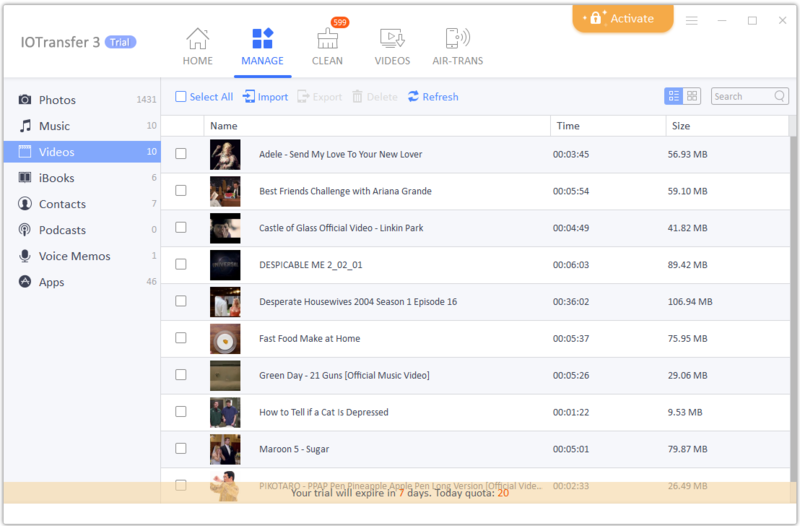 Another major update is the video Converter, which provides more comprehensive video downloading and converting. This is the ultimate iPhone transfer tool. It can be troublesome to transfer photos and videos among Apple devices and computers, such as from iPhone to PC. 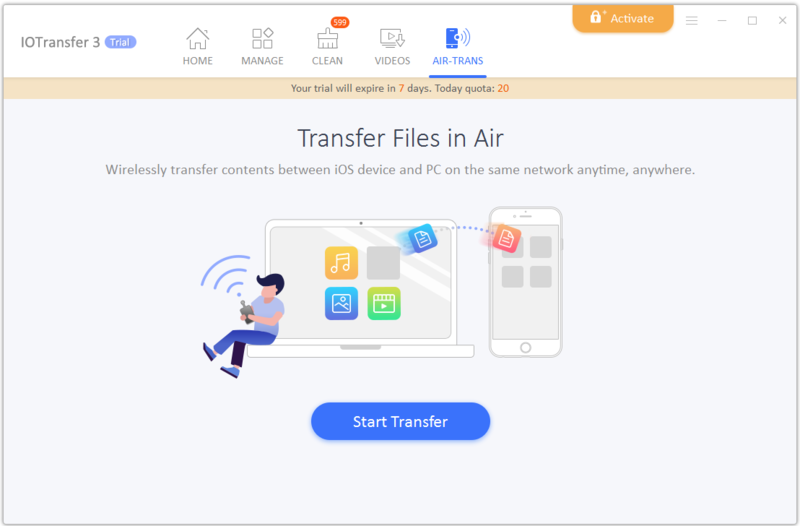 IOTransfer 3 brand new Air-Trans feature simplifies how users transfer their music, videos, photos and other data between iPhone/iPad and PCs. Now users just need to connect their devices to the same Wi-Fi network and Air-Trans will search for available iOS devices nearby. 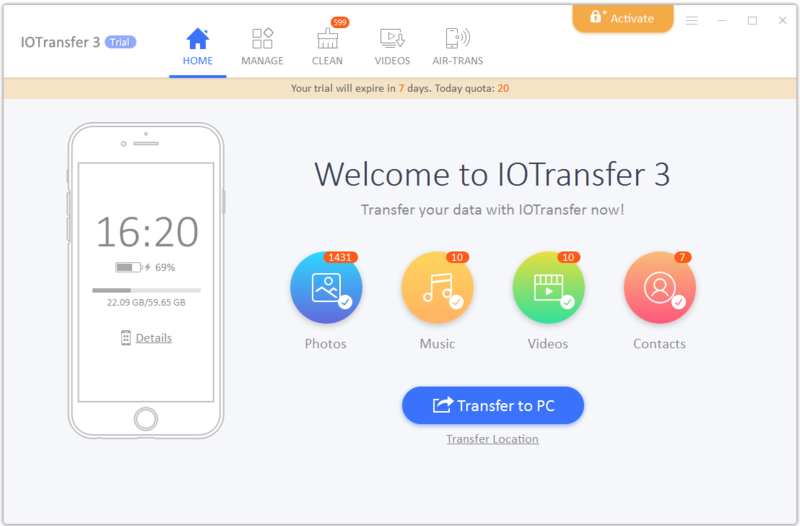 With the devices connected via Wi-Fi, IOTransfer 3 allows users to wirelessly transfer multiple files at once. 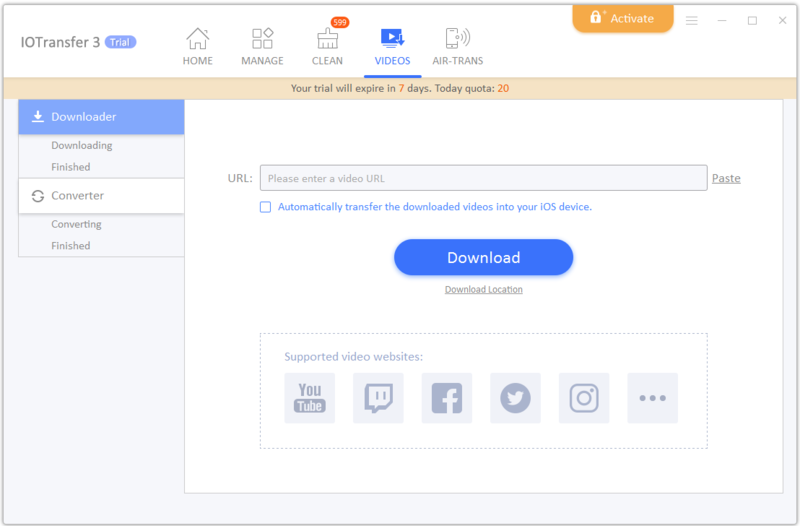 Moreover, IOTransfer is also known as a powerful video downloader, which allows users to download movies and save any video from more than 100 video streaming sites, like YouTube, Vimeo, Instagram etc. 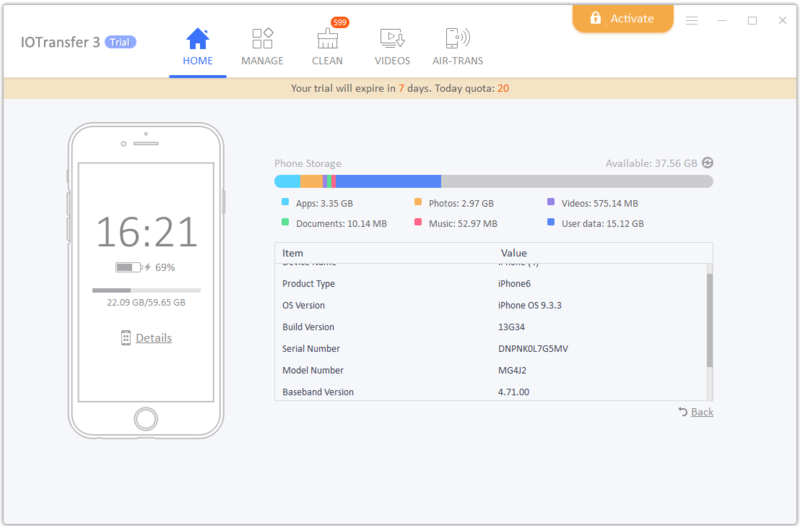 Along with video downloading, IOTransfer 3 adds the new Video Converter, making it possible for users to convert videos in MP4, MP3, AVI, MKV, MOV to the iOS compatible format. The optimized VIDEOS feature is clearly superior in terms of performance. It helps users effortlessly convert video files into various file formats including audio file formats and automatically transfer them to iOS device. 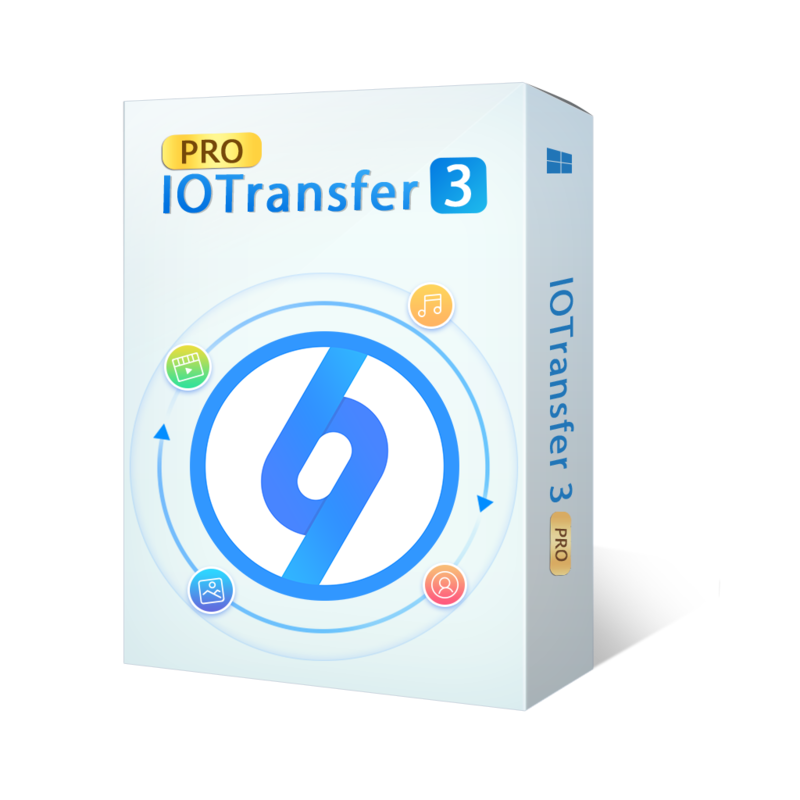 IOTransfer 3 is a very effective iPhone/iPad file transfer and management tool. This powerful software is able to fulfill the needs of millions of Apple users worldwide. 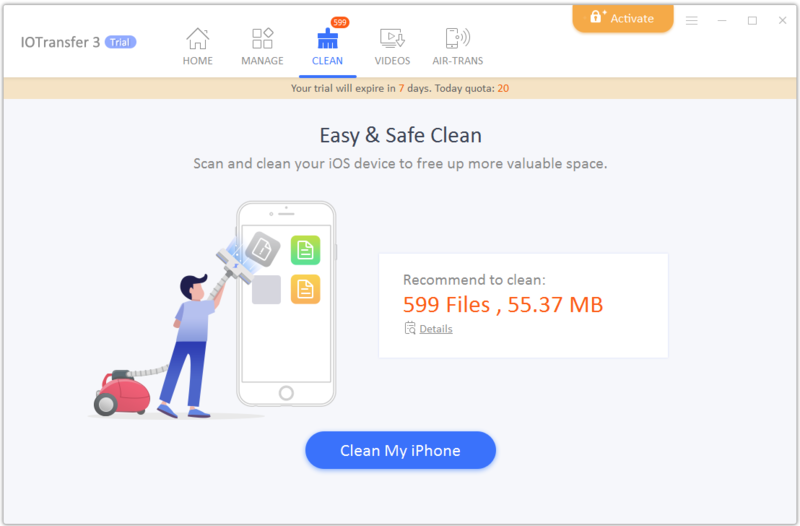 It provides the best solution to import, export and delete data, such as photos, songs, videos, contacts, iBooks, Podcasts, Voice Memos, and even offers 1-click data backup service. Additionally IOTransfer Clean function will help remove cache and junk files to free up space to record more precious moment. Overall the powerful IOTransfer breaks the data transferring boundaries across Apple devices and PCs, it is also able to fulfill my needs. I give it a rating of 5 stars. 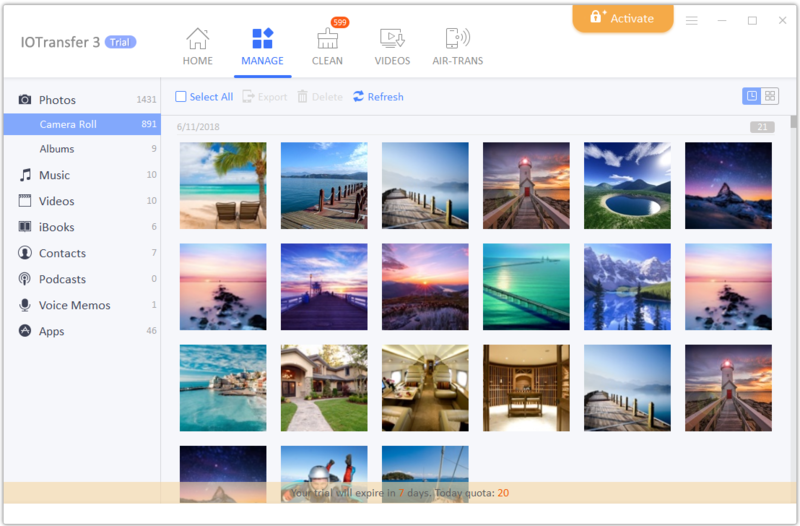 The newly developed AIR-TRANS which adopts Wi-Fi direct technology to provide quick transfer of photos, videos, and other files between iOS device and PC in the same local network elevates the game. The improved Video feature helps effortlessly download and convert video files and automatically transfer them to iOS device is superb. Besides, the new version helps to clean up my cache and junk files from my device in a great way. Solid tool. IOTransfer 3 works perfectly for Apple devices running iOS 8.3 and above, and will fully supports the coming iOS 12. It is available to download at www.iotransfer.net. The images below would help you navigate how to setup IOTransfer.